The Biblical Tabernacle Reproduction is a full-size reproduction of Moses’ original Hebrew Tabernacle. This structure is based upon the instructions given by God to Moses in the book of Exodus. This exhibit is fascinating to students of the Bible as well as those interested in cultural studies. Inside the tabernacle you’ll see life-sized replicas of the ark of the covenant, the table of shew bread, the golden candlestick, and more. Knowledgeable guides explain the purpose and spiritual significance of these items as well as the altar of incense, the holy of holies, and the role of the priests. Thousands of people visit the Biblical Tabernacle each year. See their coupon offer. 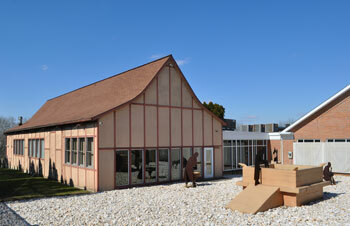 The Biblical Tabernacle Reproduction is located at the Mennonite Information Center along Route 30 east of Lancaster. 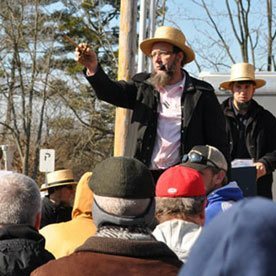 Through guided tours and other programs the Mennonite Information Center offers visitors a unique understanding of the Amish and their culture. Find out more here.